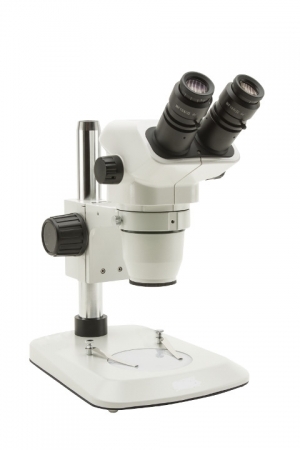 The MST-132 stereomicroscope, with a wide visible field, is designed for stereoscopic observation of samples with the use of changeable magnification. 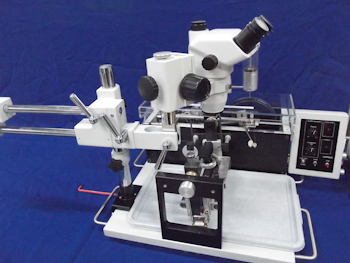 Microscope is equipped with its own power supply for regulation of light and table for cross light observation. 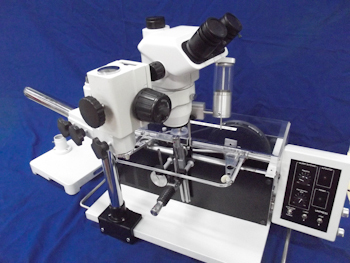 Stereomicroscope head is used to mount the MST-132 stereomicroscope on to WS22/WS22B/WS25 frame. It facilitates precise monitoring of cutting process.